In today's edition of Monday Musings, I'll be taking a look at one of Sony Interactive Entertainment's studios, Media Molecule, and examining their current project Dreams and whether or not it could be in for some major challenges down the road. Remember how groundbreaking LittleBigPlanet was when it first released? Media Molecule was running on a high during that time period -- both as a business and creatively-speaking -- leading up to the release of its sequel, LittleBigPlanet 2. Like the first game, both critical and sales reception of LBP2 was great, but the experience left the studio with the urge to move on and work on something else for a change. In the year or two following, Media Molecule decided to focus their efforts on developing brand new ideas. Meanwhile, a smaller team within the studio was hard at work creating a new experience for the PlayStation Vita. The result was Tearaway, a title that was considered one of the best and most creative games for the handheld. However, the game did not soar on the sales charts like the LittleBigPlanet series had. Hopefully their other project would turn things around. 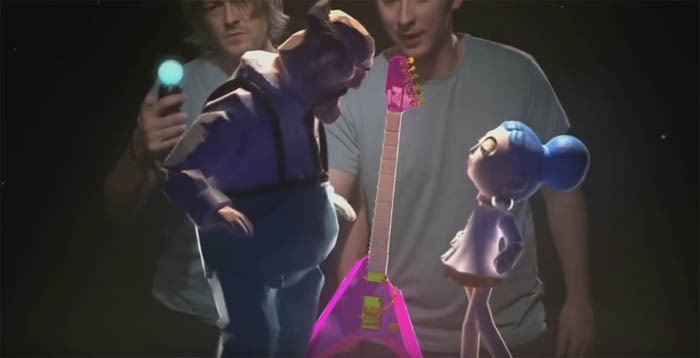 In 2013, Sony's PlayStation 4 was finally revealed to the world, and Media Molecule pulled back the curtain to reveal what they had been working on in the interim -- a then unnamed project that allowed players to create and mold 3D objects and animate them with the help of the PlayStation Move controller. Later on, this project was revealed to be Dreams. 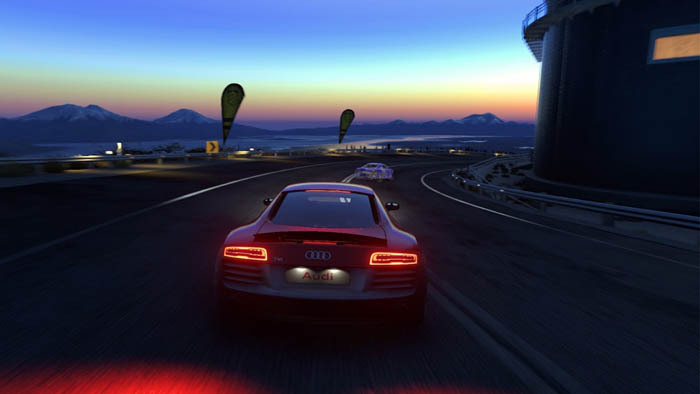 However, the game's ambitious nature meant that it wouldn't be releasing anytime soon. In order to deliver something earlier, Media Molecule decided to create an enhanced port of Tearaway for PS4, resulting in Tearaway: Unfolded. Although it garnered critical praise like the original, it too failed to deliver in sales and became a commercial disappointment. Development on Dreams would continue on unabated. Despite the immense creativity behind Dreams, some PlayStation fans were a bit taken aback by what it was. With LittleBigPlanet, the player creation aspect was a bit more straightforward in what you could do with it, or at least what the player expected out of it. With Dreams, the idea sounded neat on paper, but in reality was almost too open of a concept for many to fully understand without experiencing it firsthand. Is Dreams just an outlet for pure creativity? Is there a more focused experience within, possibly some sort of single-player game campaign not unlike what LittleBigPlanet had? Or is it more akin to Microsoft's Project Spark? Because if it's the latter, Dreams could be in more trouble than Media Molecule and SIE realize. Once upon a time, Microsoft was betting big on Project Spark to develop an interest in creativity with level design in Xbox One fans. But despite their best efforts, Project Spark never took off with the Xbox community. It was, perhaps, too ambitious for its time, or it just didn't have the right audience. If Dreams is attempting the same open sandbox approach, Media Molecule could be at risk of receiving the same reaction of indifference once Dreams finally releases. 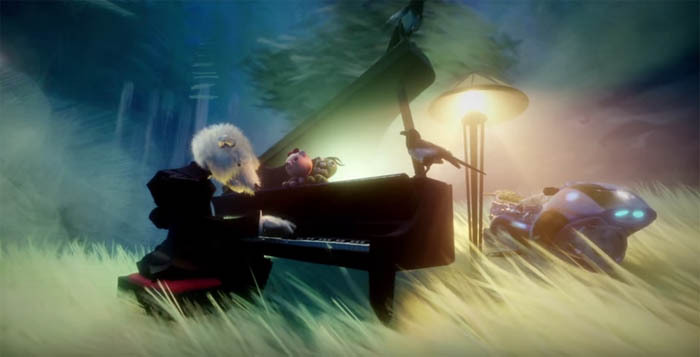 The good news is that Media Molecule at least has some proof of concept behind their ambitions -- after all, there was a very active community of players that created levels in LittleBigPlanet and its sequel. Surely the same will happen for Dreams as well? It's too early to say for sure, but one very different thing about this scenario is the fact that Dreams is said to be a much larger and likely complex experience. Dreams' success will depend greatly on how simple it is for players to create and animate, because if it's too convoluted in any sense, most players will skip out right away. Additionally, a single-player or co-op campaign of some sort designed with the game's tools will be needed. This will not only help give the game a sense of cohesiveness but also give the player a certain amount of value out of the game if said player does not click with the creative aspects (as was the case for many who played LittleBigPlanet). While information on Dreams' current progress seems to be rather sparse, Media Molecule have been publicly active on their website and showing the game off at different trade shows over the last few years. We're also supposed to be getting new information about the game as soon as this Spring, so perhaps we'll have a much better idea about what will be included in the final version. Honestly, I hope Media Molecule succeeds; the whole project looks and sounds incredibly ambitious and I'd love for them to see their efforts over the last few years pay off in a big way. But, like any other business, there's a point where SIE can't ignore the fact that Media Molecule has been producing diminishing returns for the company as far as bankable games go -- at least as far as the public eye can see. If Dreams -- or whatever the final title becomes -- doesn't take off the way SIE and Media Molecule are hoping, this could put them in a bad position. SIE certainly hasn't been shy about closing underperforming studios left and right over the past few years, and there's no reason to believe that Media Molecule would have complete immunity from potential shuttering. If there's one thing that saves them, it's the fact that it's an immensely talented studio that is well-versed in creating new tools and known for creativity. So what happens if Dreams releases and undersells? It likely depends to what extent the game doesn't perform. If it just breaks even or sells only slightly better than that, SIE could end up reexamining Media Molecule's development focus, possibly steering them away from the more creative art games and endeavors they're known for in order to concentrate on something new and different. But... if Dreams completely bombs and undersells by a significant amount, a number of different scenarios are possible. The first scenario is that Media Molecule could be restructured into a tools developer. There's too much talent among the staff to totally dissolve the studio, and their work on LittleBigPlanet has earned them at least some leeway, although it is quickly disappearing as the years go on without another big hit. Remember Evolution Studios? World Rally Championship and Motorstorm titles kept them going for a number of years, and while Sony gave them a pass for Motorstorm: Apocalypse's disappointing sales (partly due to bad timing with the 2011 Earthquake/Tsunami in Japan), DriveClub's immense issues and failure sunk the entire studio in the end. The second scenario that could happen involves SIE shuttering Media Molecule but keeping the talent intact and reassigning them to different studios as needed -- such as Studio Liverpool. Considering the latter's recent redundancies and SIE's penchant for reorganizing resources to where they can best be utilized, this isn't such a farfetched idea. Of course, the third scenario is that the studio is completely shut down and everyone goes their separate ways (and hopefully reforms as another studio sometime later). Personally, I don't see SIE letting the talent walk away without trying to keep them around first, which is why I think the second scenario is more likely. However, Media Molecule was created with the intent of making creative games. If you take that away from the equation and relegate the staff to standard positions elsewhere, is that the path they'll want to take? They may rather take the indie route in the end. But enough doomsaying. Media Molecule could be plenty stable in the end -- we simply don't know enough currently about what's going on behind the scenes to say for sure, but the situation with Dreams certainly appears to be complex from the outside. Currently, Dreams is not confirmed for 2017 release at this point, so hopefully we'll have a better idea of where it's at come E3 or Gamescom. I look forward to getting my hands on it eventually, and if it really is everything Media Molecule makes it out to be, we may have our next generation of LittleBigPlanet creativity for some years to come. What are your thoughts on the current state of Media Molecule and its upcoming game Dreams?